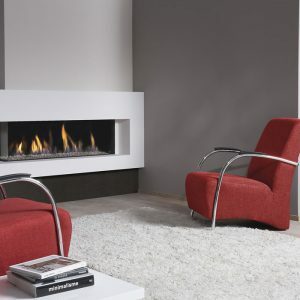 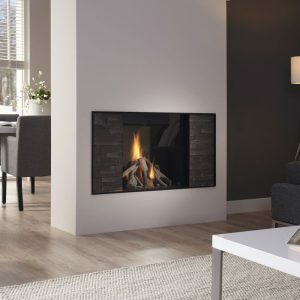 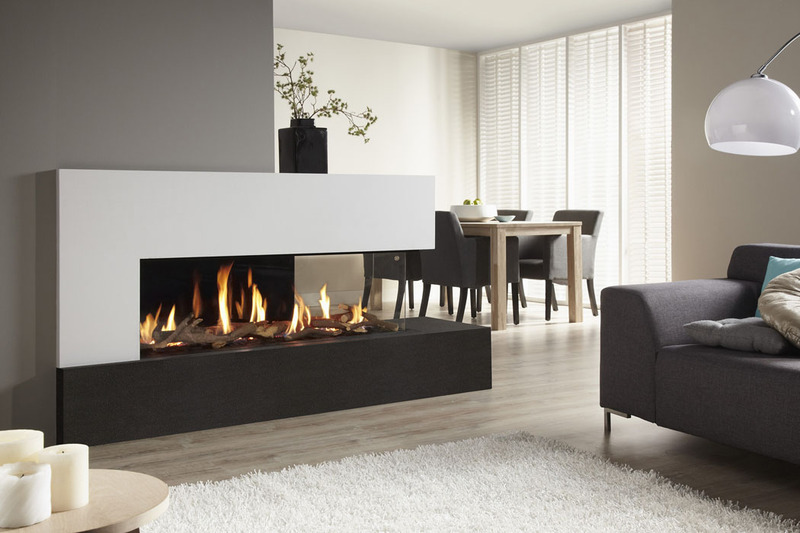 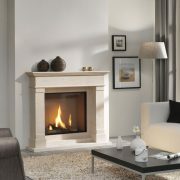 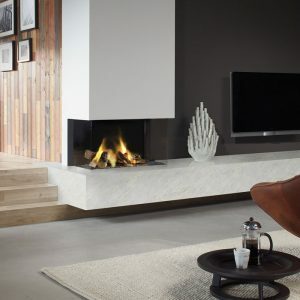 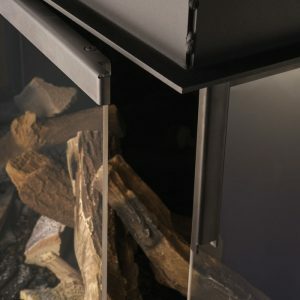 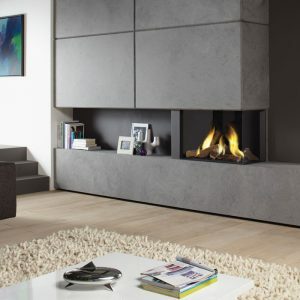 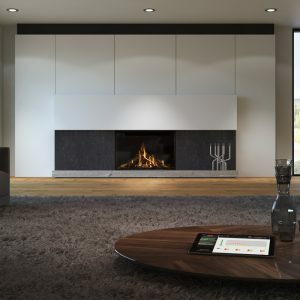 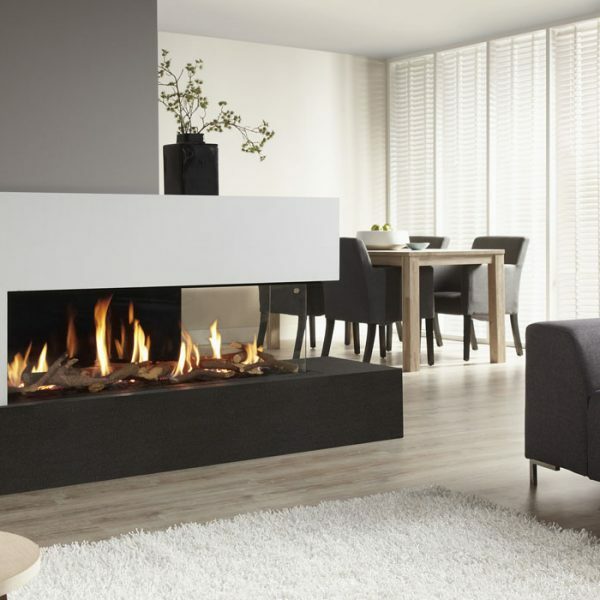 Metro 130XTL is a combination of a see-through gas fire and a corner gas fire. 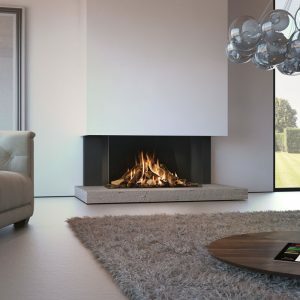 With a selection of log or pebble fire beds, it can be installed into an artificial wall so it can be viewed from both sides. 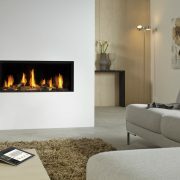 It provides both a supply of heat and comfort and also serves as a fascinating structural design feature.